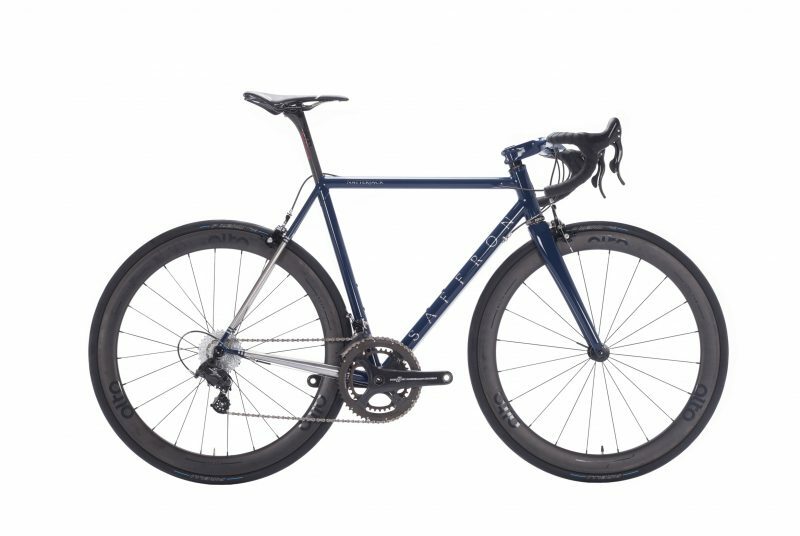 I have been an admirer of Kosuka’s artwork here at Saffron for the past 9 years, and it was decided at the start of the year to work on a collaborative project between Campagnolo, Kosuka and myself. 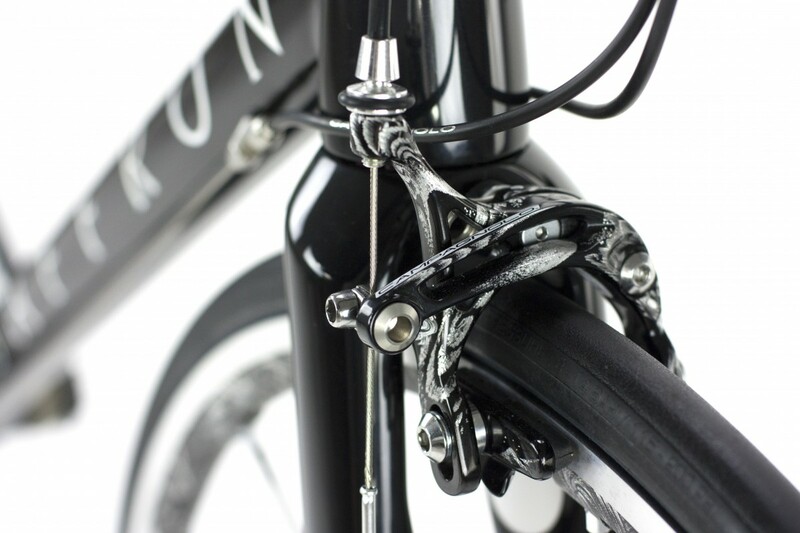 Kosuka’s has a long love affair with bicycles, with components making their way into his artwork before. 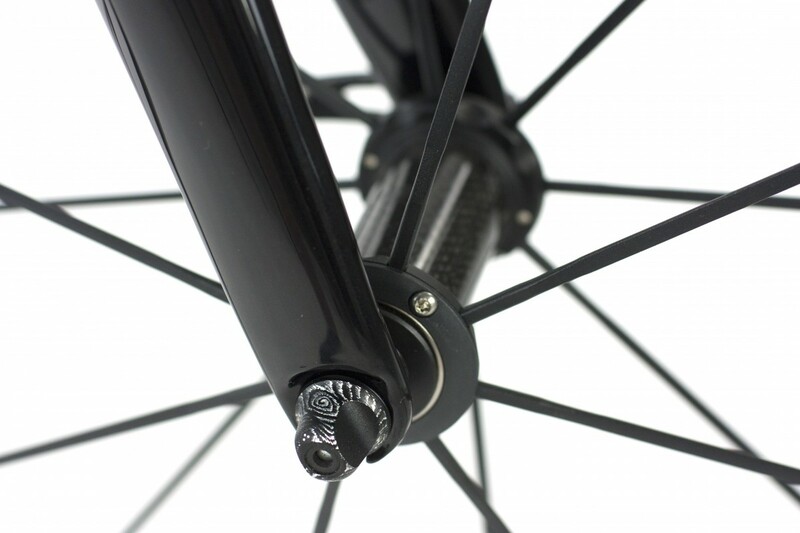 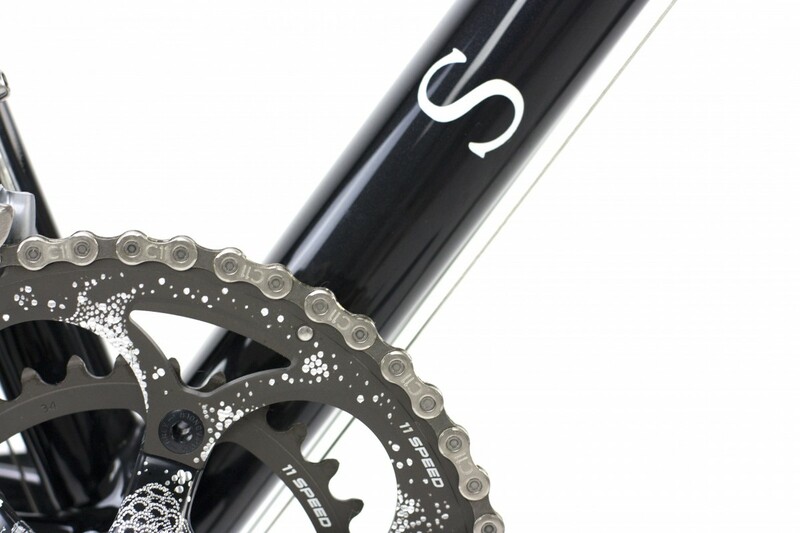 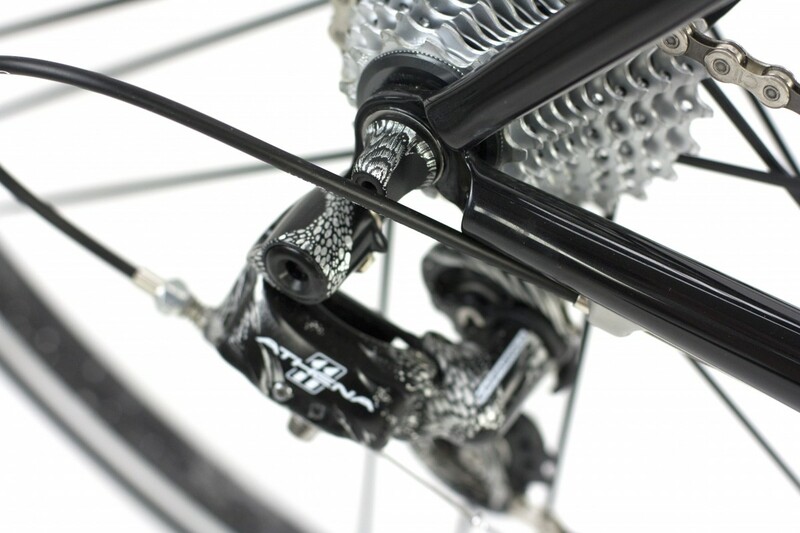 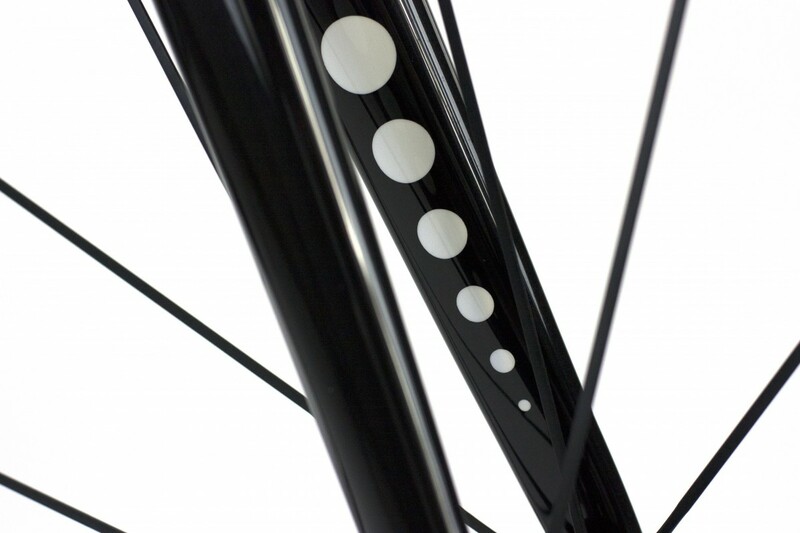 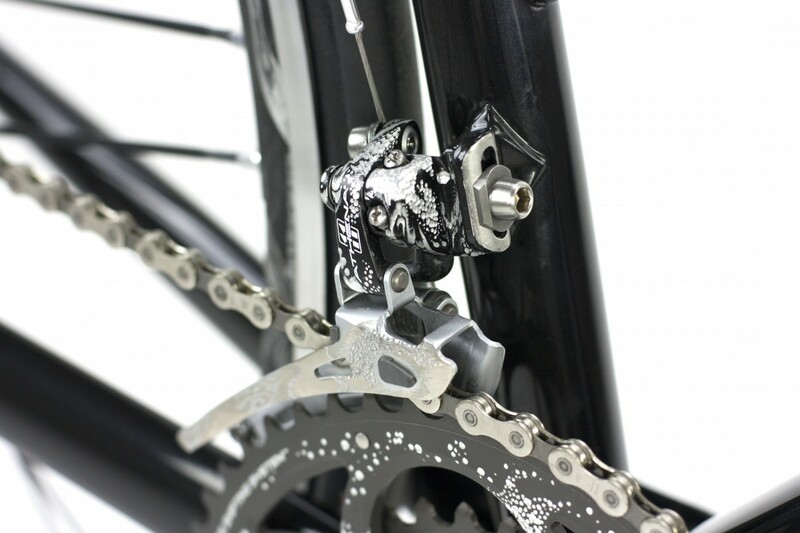 This was the first time, however, that a complete groupset (wheels) had been engraved in Kosuka’s signature style which represents the cosmos and the flow of life. 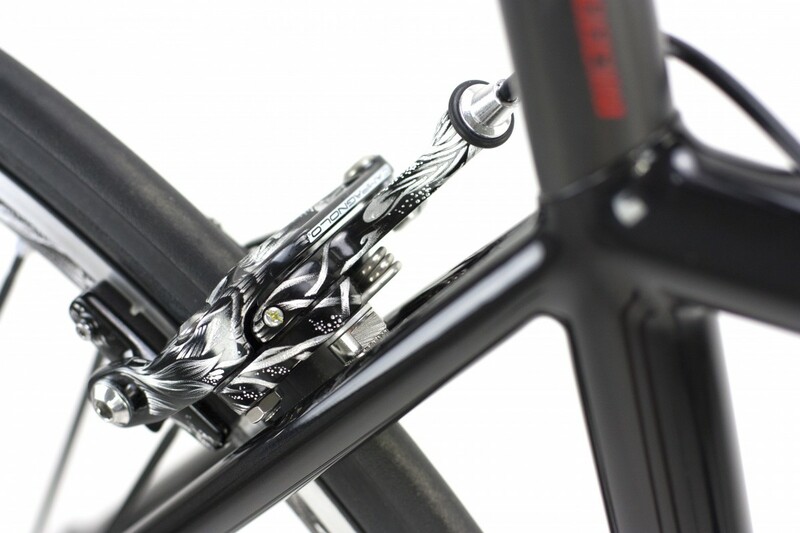 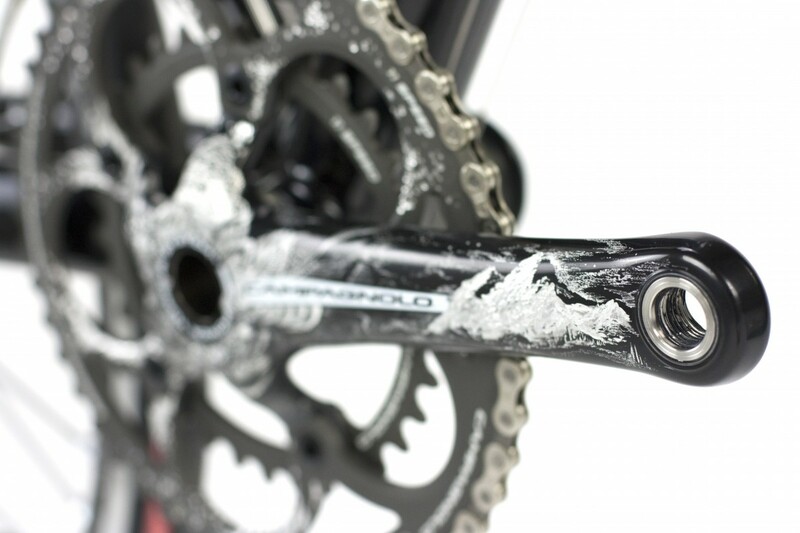 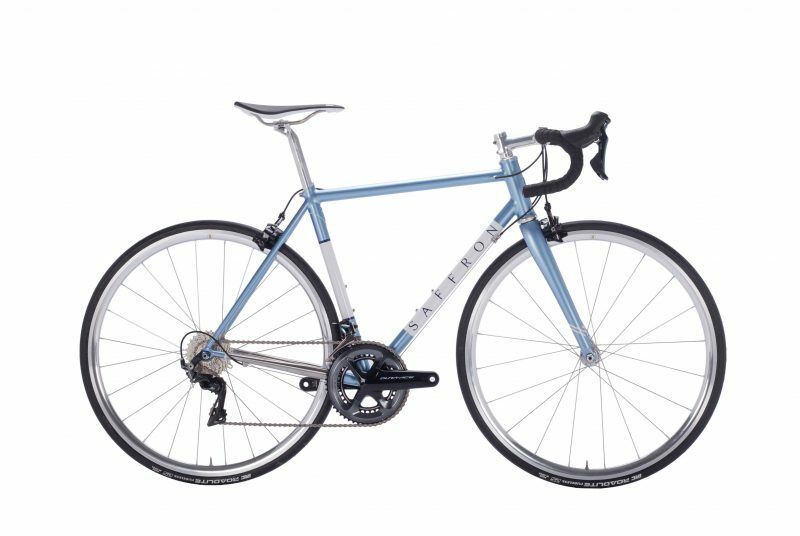 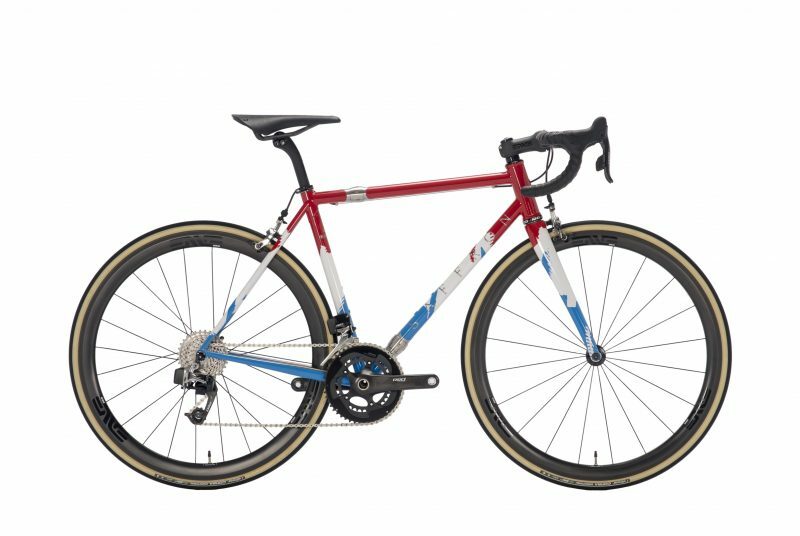 Campagnolo came on board as they felt that this was an expression of individualism worth supporting. 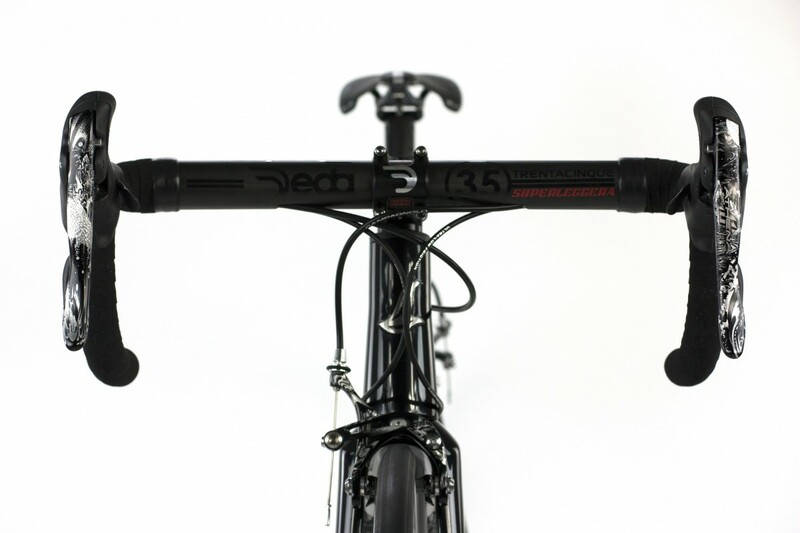 Deda kindly providing the finishing kit. 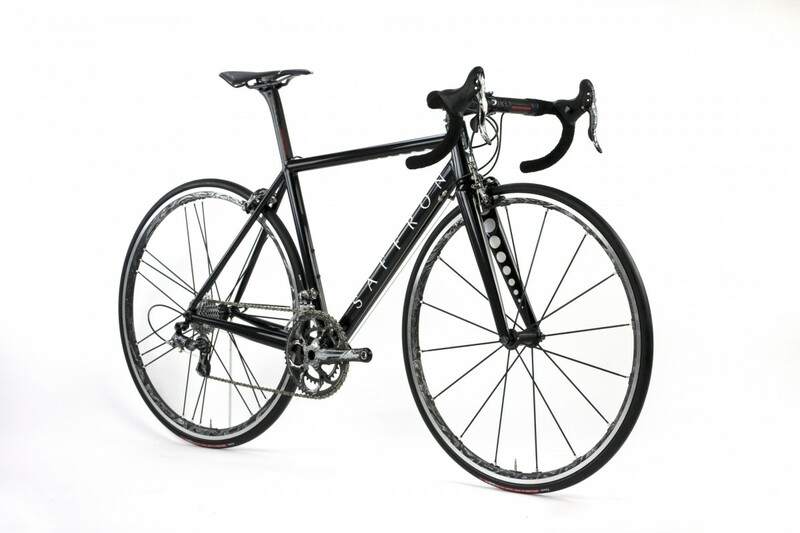 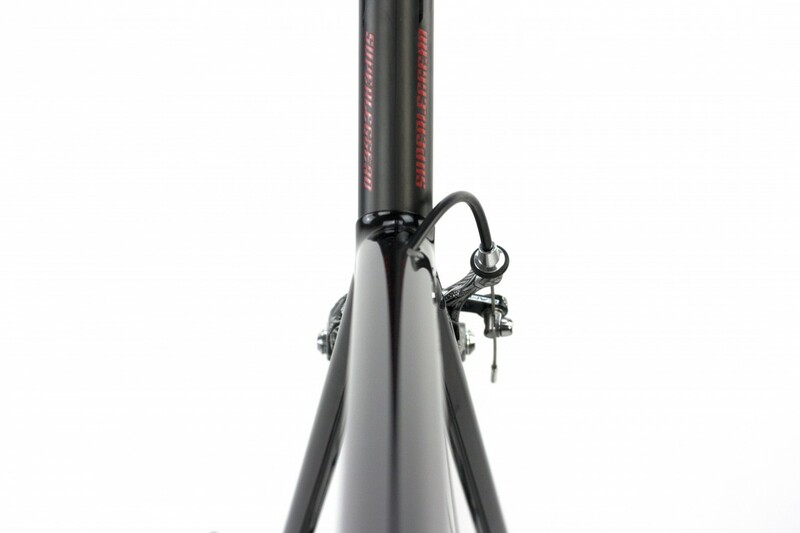 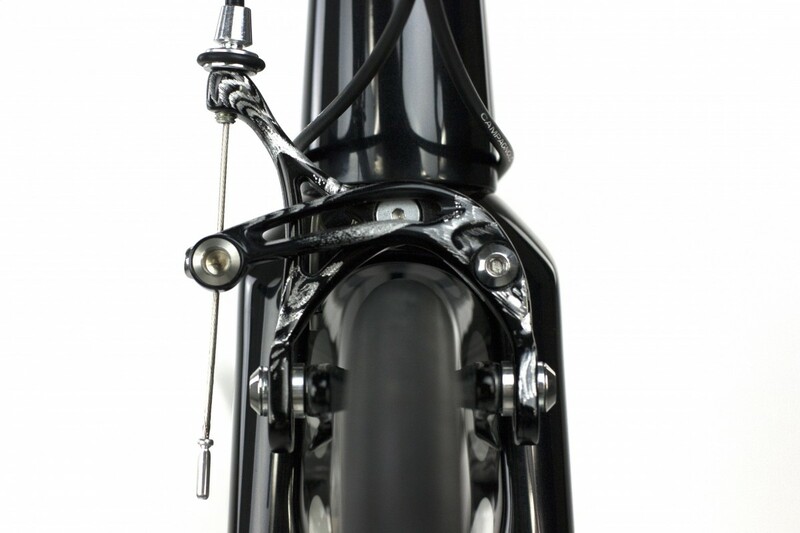 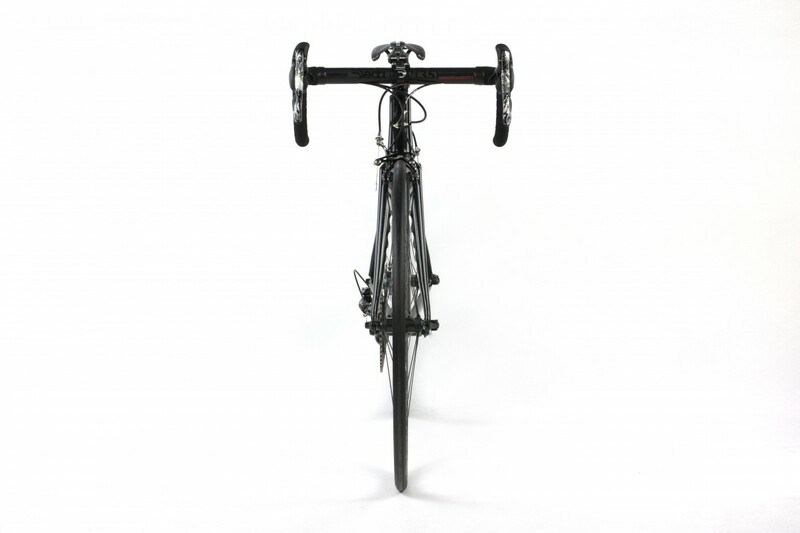 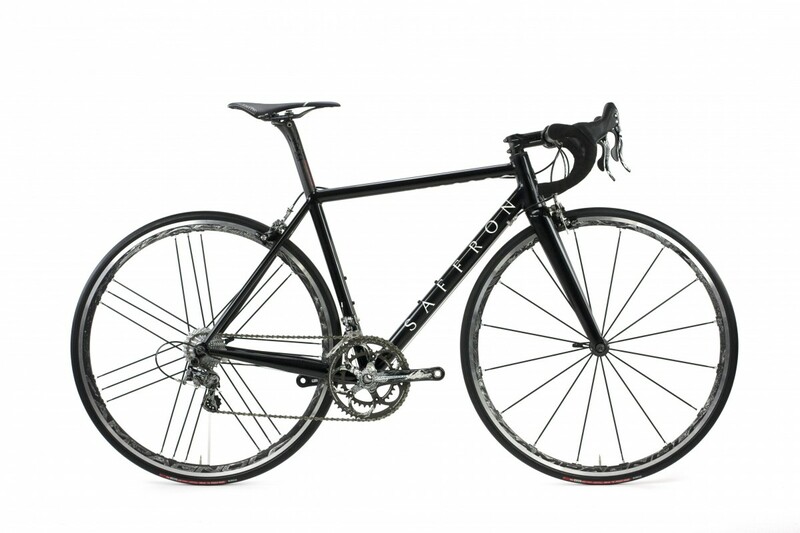 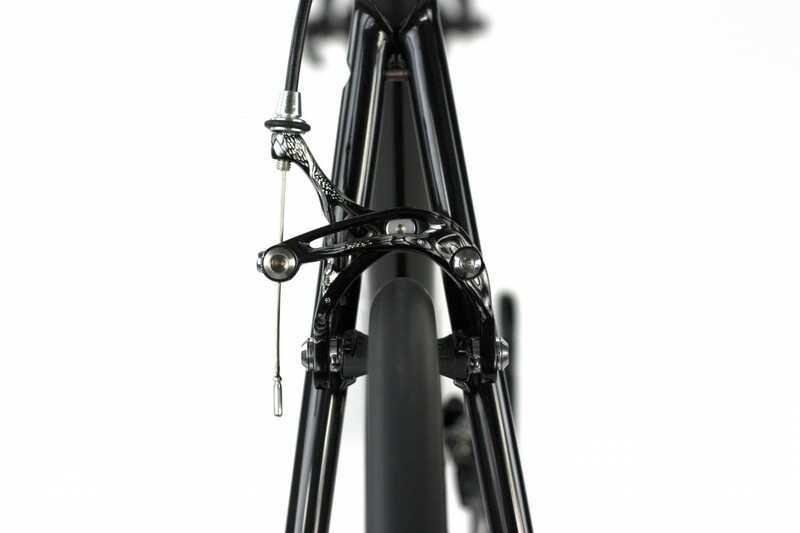 Even with all of it’s fine detail, the bike itself has been constructed with practicality in mind. 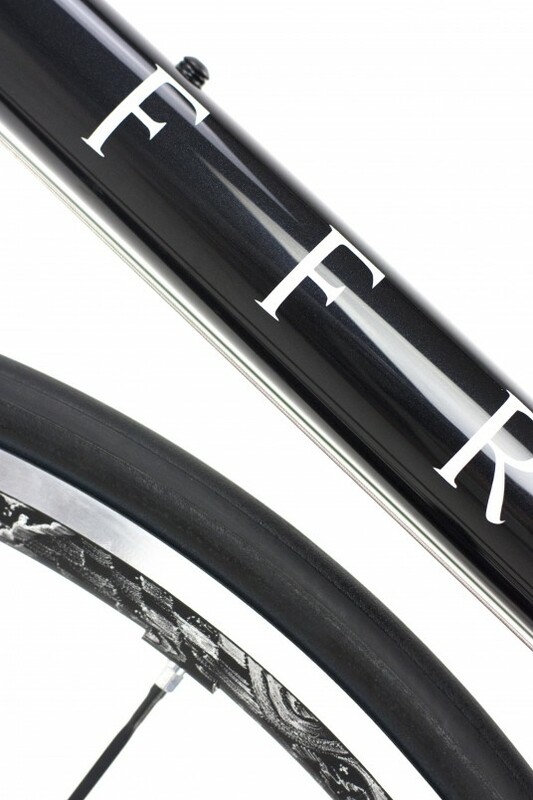 Tubing choices and geometry specifically to perform at their best for Kosuka’s riding style mean that this work of art is not meant to be hung on the wall, but taken out and ridden. 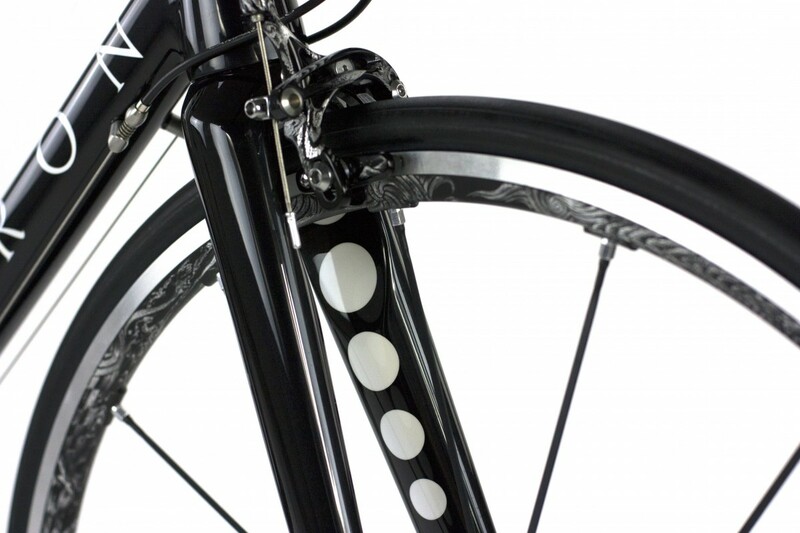 Given Kosuka’s Buddhist spiritual beliefs and the inspiration I have gained from his work I added a series of full circles to paintwork of the bike. 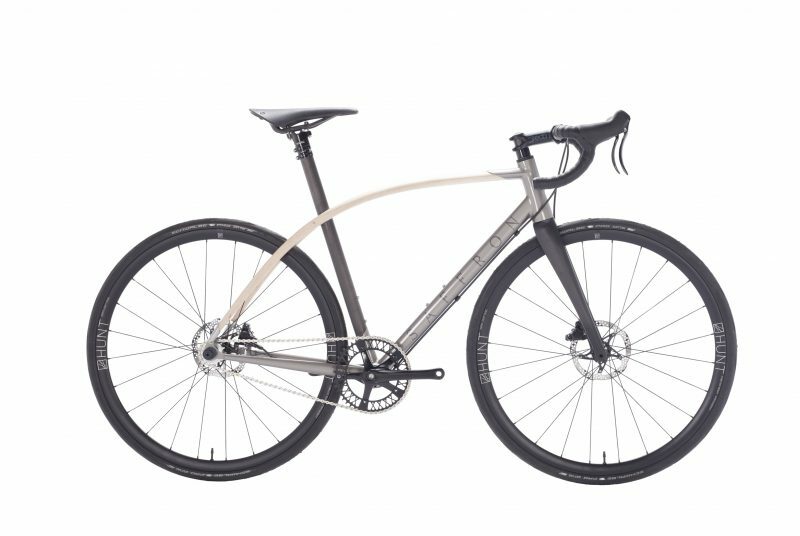 These represent the year’s I’ve been influenced by him, the “full circle” between builder and rider and a fixed point for meditation. 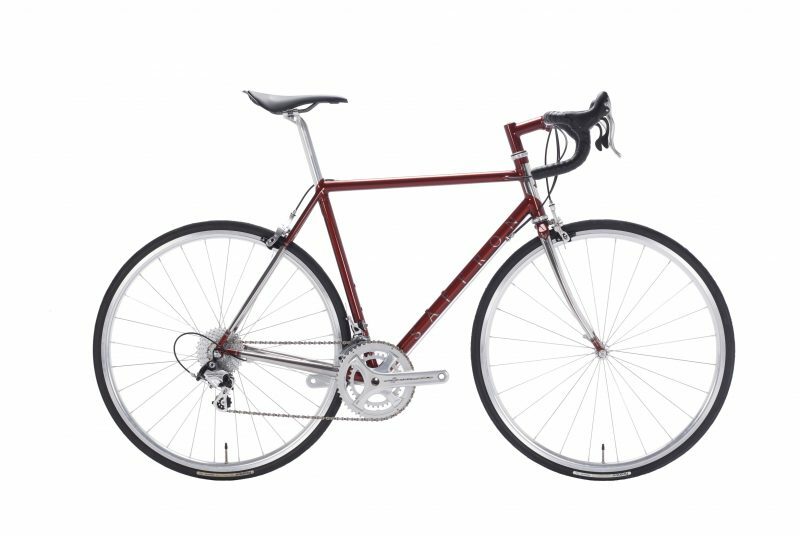 I wish Kosuka many happy hours in the saddle of his new steed.